Notes: The original station had a small, single-storey building, narrow platforms, and a primitive trainshed. In 1881 the Board of Health received a complaint about the inadequate facilities, prompting the NER to make improvements. In 1912 elegant new buildings were constructed. Most of the tall, single-storey structure was red brick. 97 yd glazed awnings of ridged cross-section covered much of the two platforms. They ended with glazed screens and were supported by iron columns and spandrels of a hooped design, as at West Jesmond (opened 1900). 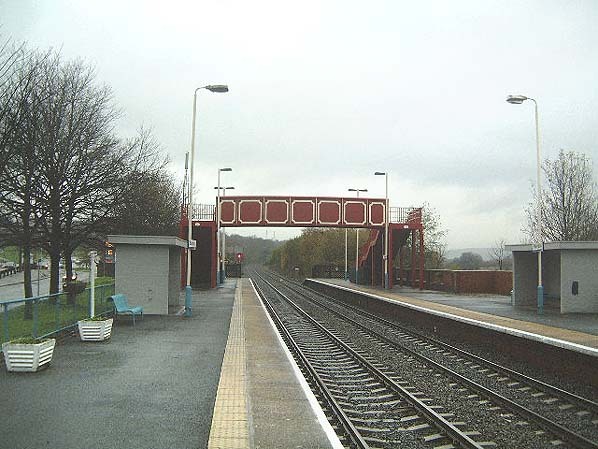 A covered footbridge linked the platforms. The lengthy exterior possessed restrained dignity. The lofty central section carried a pavilion roof. Its segmental-arched openings were separated by four sandstone pilasters that rose above the eaves and were capped by large ball-finials. A cross-gable window concealed and lit the footbridge, and was complemented by dormer-style ventilators on either side. 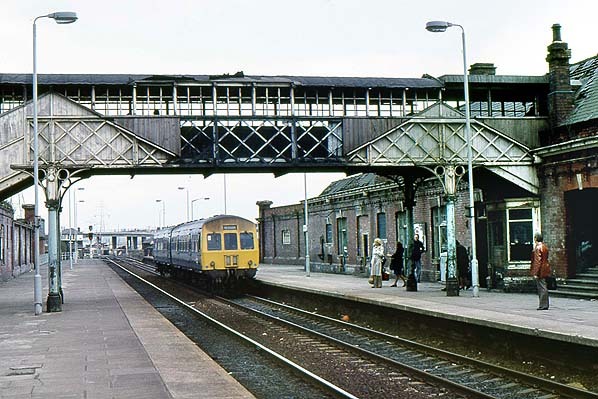 The up platform had an unremarkable single-storey building with a pitched roof, flanked by high walls to support the awning. Blaydon had extensive sidings, handling Newcastle-Carlisle derived traffic, also waggons from the East Coast main line via Derwenthaugh, the Derwent Valley, local collieries, and other businesses. An engine shed existed from early N&CR days, but a larger one opened in 1900 for goods and passenger locomotives. In 1930 there were 84 locomotives based there. Under BR, Shed 52C bade farewell to steam locomotives in March 1963, and closed two years later. ungainly and attracted local graffiti artists. Vandals smashed what was breakable; an arsonist attempted to destroy what was left. In Off the Rails (1977), the companion booklet to Save Britain’s Heritage exhibition of endangered railway architecture, I contributed the ‘Demolished and Maltreated Stations’ chapter. I remarked that Blaydon was probably Britain’s least attractive station. Local television and newspapers seized upon this and insisted on action to rectify matters. BR’s response was, rather than repairing the buildings, to bulldoze them later that year and install ‘bus shelters’! From being a busy station issuing over quarter-of-a-million tickets, and at which almost every train called, Blaydon now has only a token service, currently the station is served by just three Hexham-bound trains and three Newcastle-bound trains on Mondays to Fridays. On Saturdays there are three Hexham and two Newcastle trains. There are no trains at all on Sundays. It is poorly sited to serve a town with excellent bus links, being isolated from the town centre by a main road; immediately to its north is the River Tyne, so there is no hinterland in that direction. Beeching recommended Blaydon station for closure, but it was reprieved. It remains to be seen how much longer it will survive. The first few miles of the cross-country journey from Newcastle to Carlisle were thoroughly urban and industrial. To the left, the extensive buildings of Vickers-Armstrong’s Elswick engineering works hugged line, whilst to the right, immediately beyond the famous Scotswood Road, rows of impossibly steep streets of terraced flats plastered the slope. After Paradise Bridge, shortly before Scotswood station, the Victorian landscape gave way to a council estate, and a clear view of the river. 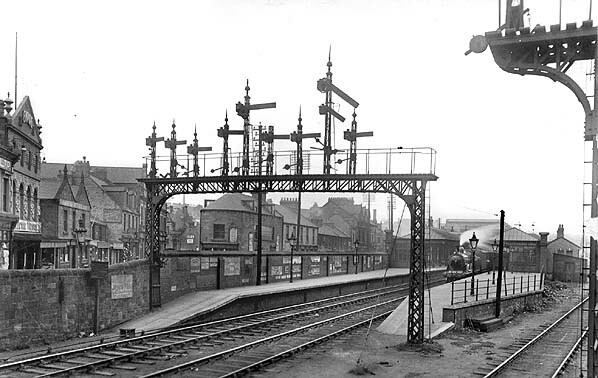 Approaching Scotswood, the railway divided; the main pair of tracks diverged to the left through the station’s lower platforms, and crossed the Tyne on a six-span hogback girder bridge into Blaydon in County Durham. The lesser-known ‘North Wylam loop’ carried straight on through the higher-level platforms, and disappeared into a short tunnel. The Blaydon and North Wylam routes reunited before Prudhoe, and the remainder of the journey to Carlisle was through some of England’s finest rural landscapes. successful; heavy rain drenched the passengers, and many were left shaken, and some injured, by two collisions. N&CR rails reached Newcastle via a three-mile route including a ‘temporary’ Tyne bridge at Scotswood (which was eventually replaced with the present structure in 1870). Formal opening to a station at Railway Street, close to the Shot Tower, took place on 21 May 1839; regular services began on 21 October. The new Forth terminus, replacing that at Railway Street, opened on 1 March 1847. From 1 January 1851 the company used Newcastle Central, shared with the York, Newcastle & Berwick Railway. Although access to Carlisle Citadel had yet to be achieved, the 60½-mile route was complete. The Newcastle & Carlisle was absorbed into the North Eastern Railway empire in July 1862. Its eccentric arrangement of right-hand running was discontinued after the re-signalling of the route for the standard left-hand operation in 1863-4. 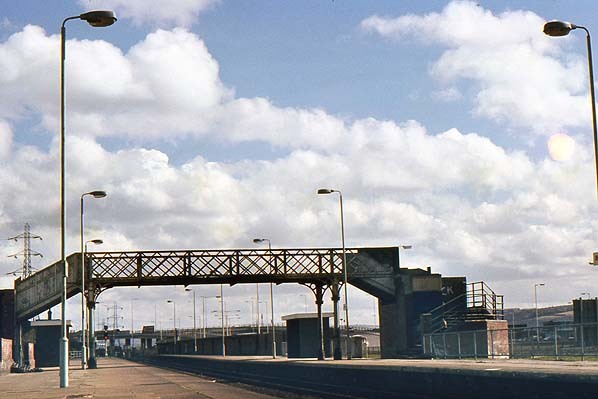 In the 1960s the transformation of the townscape surrounding the railway between Newcastle and Blaydon began. Many of the terraces of two-storey Tyneside flats were demolished and high-rise blocks took their place, and more recently the Elswick works site has been all but cleared and redeveloped as a business park. Junction. Tracks were removed from Scotswood Bridge and eastward beyond Elswick, leaving only a one-mile siding from Newcastle. The diversion added four minutes to journey times. On the new route the intermediate station at Dunston (closed 1926) was reopened in 1984, but for some years has enjoyed only a token service. The MetroCentre is adjacent to this route, and its station (opened in 1987) provides additional passenger traffic. Between Elswick and Scotswood the track is now a cycleway and footpath known as Hadrian's Wall Path, part of an 84 mile national trail. 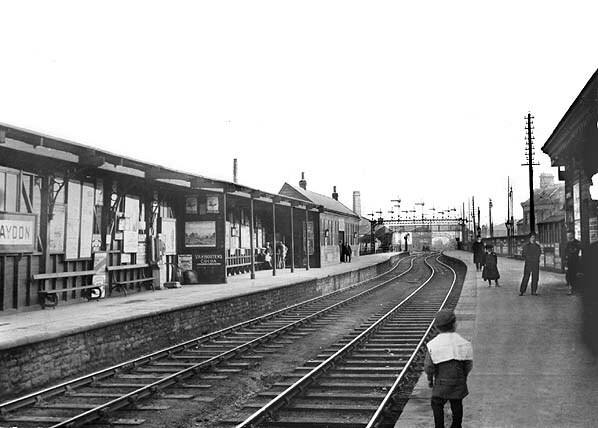 Blaydon Station looking west in c.1910, after rebuilding.